Hello everyone! I know, I have been missing in action for more than a week now. But, I'm happy to say that I am no longer a bum! Got a new job from a hospital, so technically, I was a bum for almost 3 weeks, just that short. I love my new job right now, my schedule just makes it easy for me to do a lot of things on the side like playing Ultimate Frisbee, going out with friends and my significant other, and of course, updating my blog. Unlike my first job, which was really time constraining, the schedule here is plain awesome - that is if you are on the medical field, but nothing beats having to work on office hours, I must say. I hardly had enough time to spare for myself on my previous job. So, I'm really happy and blessed to have a new job. Plus, I have interns too, which is fun because I used to be an intern myself way back, and now I feel much like an ate (older sister) to them. Anyway, so much for updating you girls on what I've been up to. (As if you are interested haha! I know you are not haha) Okay, I'm just sharing my accumulated purchases last last week. Hope you girls tell me which one's you want me to review first! 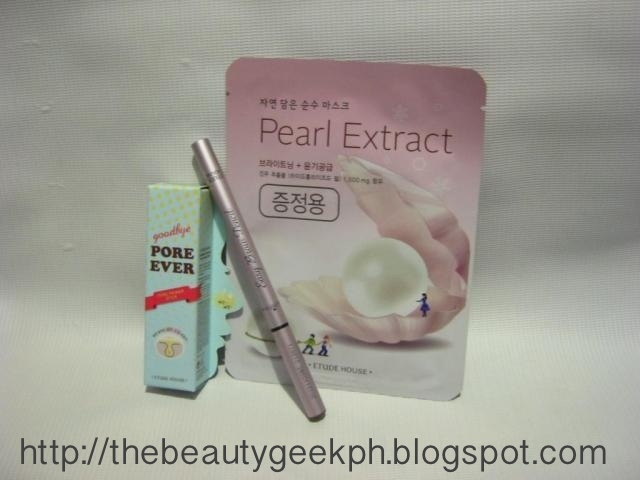 ETUDE HOUSE: Just got this Goodbye Pore Ever Primer Stick which costs around P428 ($9.00). I also bought this Easy Brow Pencil #2 which is around P128 ($2.00). My Drawing Pencil #2 (the retractable one) is always sold out and has little product in it which is why I thought of looking for a replacement that would give out similar results. Will be blogging a comparison soon. I got a free Pearl Extract Mask too! 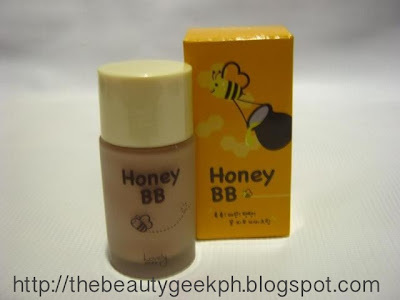 THE FACE SHOP: This costs P495 for a 35ml product ($10.00). Normally BB creams would cost twice as much. I heard good reviews for this product and it is only one of the few BB creams that cater to dark skin. 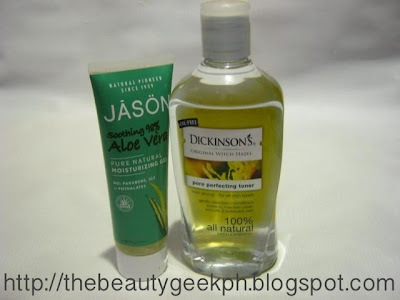 HEALTHY OPTIONS: I have been on the look out for and Aloe Vera Gel which would help me create a home made primer and I found one at Healthy Options. This costs around P300 ($8.00) and I am loving it to bits as of the moment. The next one is Dickinson's Original Witch Hazel Pore Perfecting Toner which is around P300+ ($8.00) for a 16 oz bottle - that's alot of product and I think it will take me half a year until I finish it. My friend Yona of Your Makeup Call recommended this to me, she gave me a travel sized bottle to see if it works well. Mind you, I have really sensitive skin and so far, the only toner that worked well for me is the one that I get from the Derma, which is a task to buy since my dermatologist is in Pampanga and I am based in Manila. Halfway before I emptied the tiny bottle she gave, I headed to Healthy Options to purchase this biggie for myself. It really works wonders, I am really excited to review and show the before and after pictures to you girls! As you noticed, I have been going gaga over pore reducing products lately. 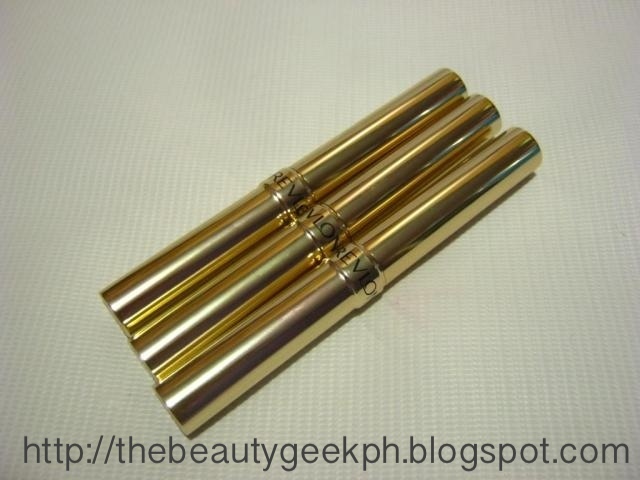 REVLON: These are gifts from my cousins. It was actually a part of a set and I'm happy they gave three shades to me. 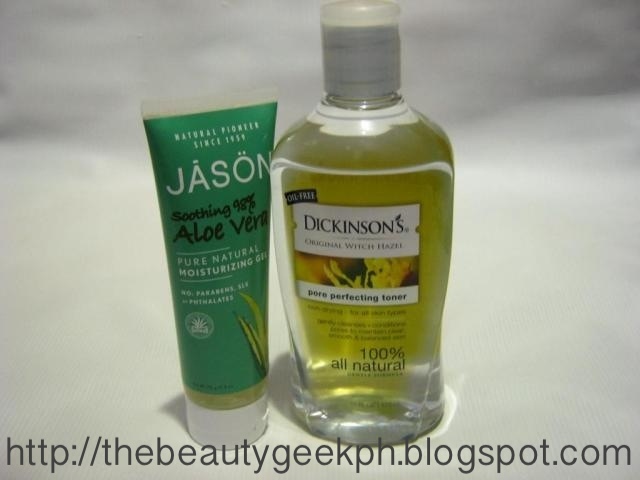 WATSON'S: Here's what I bought in this humble drug store. First is Jazzy's Eyebrow Gel, a really good dupe of Mac Boy Girl. 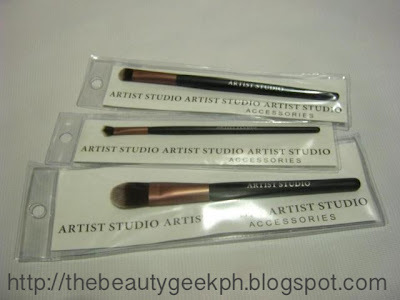 This costs P299 only! Really cheap! And you only need a tiny portion of this product to tint your brows well. 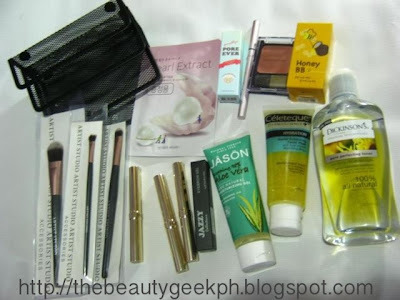 I am eyeing a lot of Jazzy products right now, they seem to work well as heavy duty make up that only costs a portion from the high end brands I know. 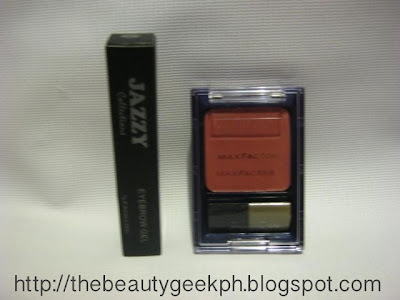 I also bought a Max Factor Flawless Perfection Blush which is less than P600 ($3.00). 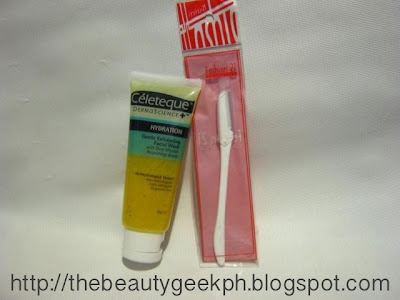 Bought random things too like this Celeteque Dermo Science Gentle Exfoliating Facial Wash and this razor for shaping my brows from Fashion21. LANDMARK: When I went to Landmark, I checked the Artist Studio Brushes that was available unfortunately, most of the big brushes were out of stock. I was left with these ones. Foundation brush ( 49.75), angled eye shadow brush (49.75) and a medium eye shadow brush (P79.75). So far, the foundation brush and medium eye shadow brush works well, the angled eye shadow brush sheds like crazy. I should have checked it before purchasing. SM DEPARTMENT STORE: I am really fond of organizing make up. One of my favorite places to shop for them is on the Office Supplies section of the Department Store. 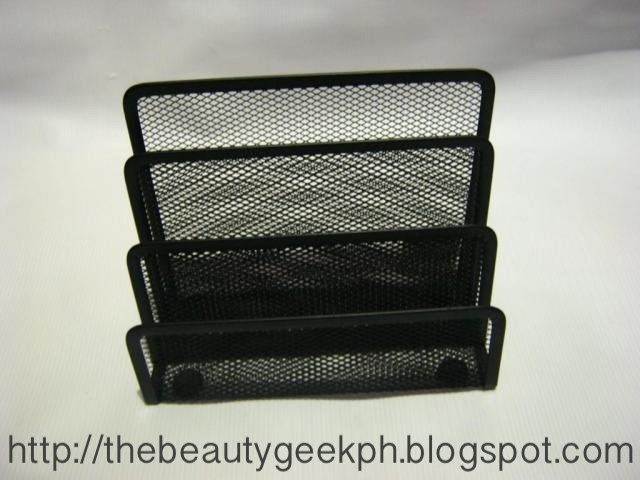 You might think: What the hell is that folder holder for? I will be using this one to hold my palettes! Good thing it only costs P149.75! I am really a cheapskate! That's all for now girls! I know it's just a random haul, but I can't post a haul with only a few products in it that's why I just put all my purchases together from different stores to one post.